My 3-D printed model scores a 3/4. Unwrapping is a pain, so I started looking for alternatives. 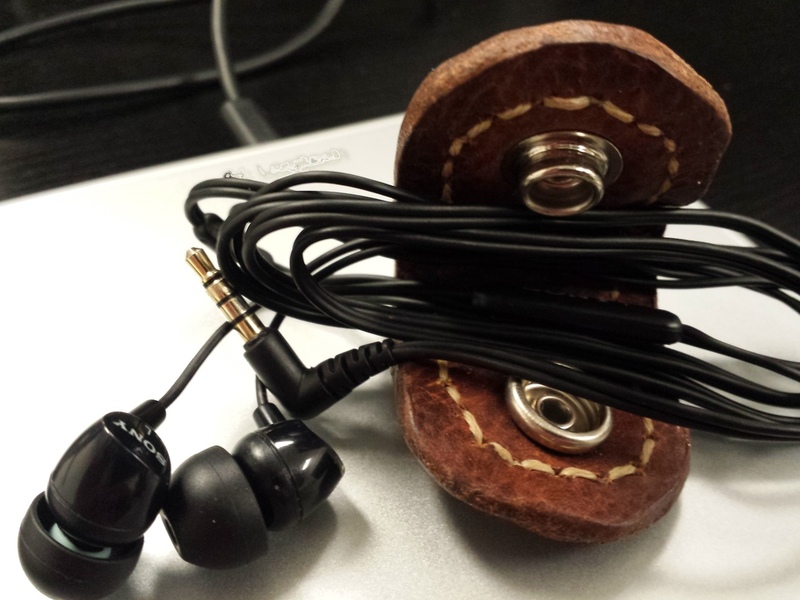 Instructables user amalkhan has this model, which I like a lot. 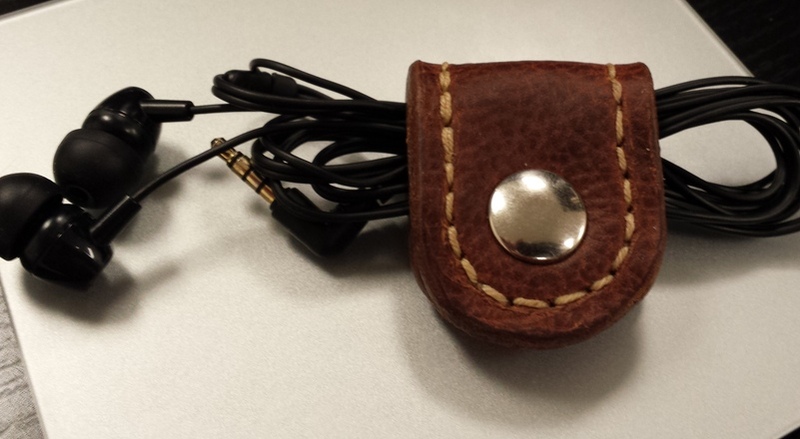 I also saw a few others that were more like a headphone wallet. I picked a size that seemed reasonable and cut it out of cardboard to make sure it seemed right. I traced the cardboard on the leather. I want it to be 2 layers like the bag. Once you glue it up, it will never really lay flat for you again. Still, I want the extra weight of 2 layers. 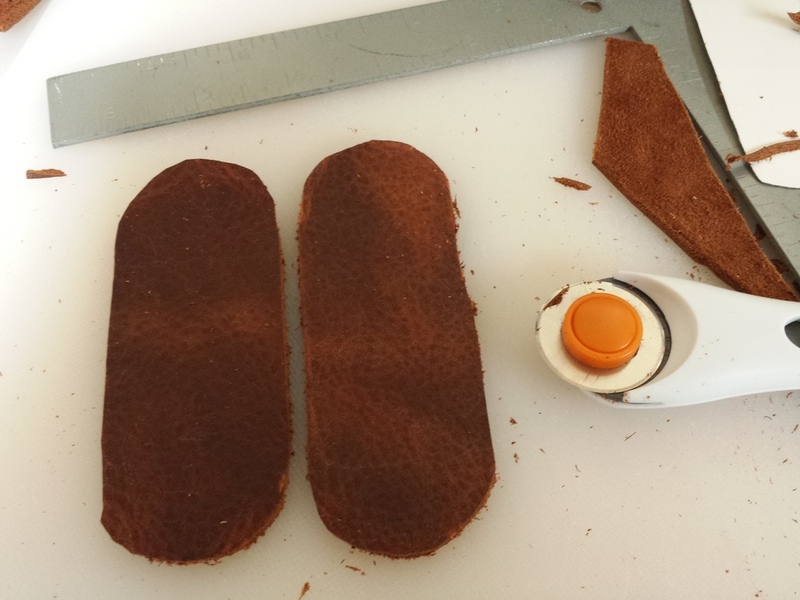 Put glue on one end of the leather and keep it secure. It's best to wait until it's all set before you continue. I did not do that. Once it's secure, clamp it around a dowel or something and glue it the rest of the way. After it's all glued up, trim off any over-hanging leather corners to even up the edges. 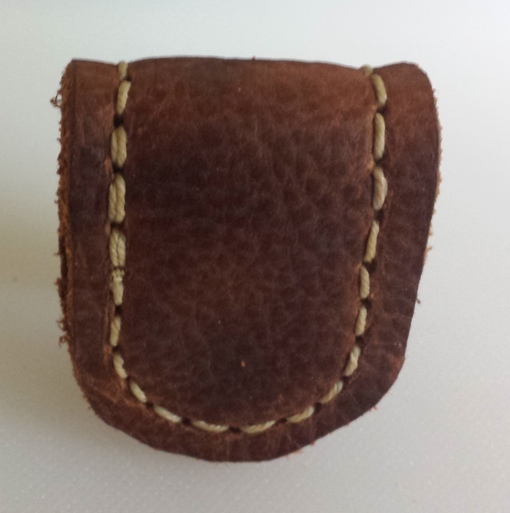 Another reason I wanted two layers of leather is that I could put cool stitching around the outside of the thing. This is the part that takes the longest; it took me 42 stitches around the whole thing. To hold it together, I punched in a line 24 snap. That's about it. So far it has stayed in my pocket one day without tangling.